The union contracts empowers us as educators to do our jobs well. It includes articles and rights whose sole aim is to ensure that we have the resources, support and structures in place to do our best to educate our students. It gives us an important voice in the workplace and a mechanism for addressing problems. The contract allows us to keep class size to an agreed-upon number, provides us with preparation time, gives us a say in our own professional development, provides a time for parent communication, includes vital whistle-blower protections in relation to special education referrals, protects the integrity of our grading system, ensuring that a supervisor can’t change the grades a teacher has given without written notification, and much more. But inevitably, in the real world, disagreements and problems come up. What should you do if you feel your contractual rights have been violated? 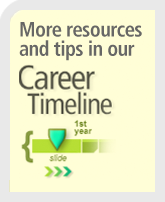 First, speak with your chapter leader about possibly filing a grievance. If you cannot reach your chapter leader, you can speak to your district representative, or call or stop by your UFT borough office. The union is here to support you. Filing a grievance is the way members object to the Department of Education’s violation of the contract or of established DOE policy and practice as embodied in bylaws, circulars, personnel memoranda or Chancellor’s Regulations. Don’t delay. While time frames to file grievances vary from contract to contract, most grievances must be filed within 30 school days of the incident; after that, there’s little the union can do through the grievance process to correct the situation. Be aware that some grievances, such as those regarding per session and reorganization issues, have a much shorter time frame. Your chapter leader can explain the grievance process to you, including possible ways to resolve your complaint without having to resort to a grievance. If your complaint is not resolved, the chapter leader can assist you in preparing and filing a formal grievance. If your complaint is technically not a violation of contract provisions, your chapter leader can still help by suggesting other methods of resolving the conflict, whether through informal meetings or more formal avenues such as consultation. 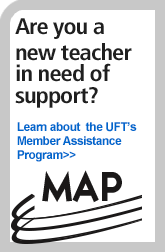 Even if the chapter leader doesn’t agree that your complaint is covered by the contract, as a UFT member you still have the right to initiate a grievance. Members have an official file that contains the administration’s observation reports, annual evaluation sheets and other materials. You have a right to see and photocopy the contents of your file. Your supervisor can place an item in your file only if you have seen and signed it. Signing an item means you have received it, not that you agree with it. Sometimes a supervisor wants to place a letter of reprimand in a file, which could later affect your evaluation. You have the right to append aresponse to material placed in your file. See your chapter leader for assistance in formulating your response. You don't have to append your response right away. Members should sign the letter signifying they received it, but take the time to carefully craft their response, which can be appended at any time. There are time limits for placing material in a file. A contractual right allows you to remove any negative material in your file that has not attached to charges against you three years from the date of the material. Get in touch with your chapter leader for more information. Occasionally, a member may be investigated for an allegation, or a request may be made to interview the member as part of an investigation. If you are ever approached by investigators or your principal wants to question you as part of an investigation, you should contact your chapter leader/borough office for immediate assistance. Appropriate representation for any meeting with investigators will be arranged. You are within your rights to tell the investigator: “May I please have your card so that my union representative or attorney may get in touch with you to arrange a meeting?” During any meeting that could lead to disciplinary action, you should have appropriate representation. If you are arrested for any reason, even for something like civil disobedience and even if it happens out of state, you must contact the Office of Personnel Investigations immediately: call (718) 935-2666 or email OPIarrestnotification@schools.nyc.gov. You also must notify your principal. If you are arrested on school property and/or for anything related to your job, please contact your district representative immediately.